Represent Nigeria at the 2013 Miss World beauty pageant. A chance to represent Nigeria at the Miss Universe beauty pageant. A chance to represent Nigeria at the Miss Tourism Pageant. Silverbird Television, No 1 Rhythm Avenue, Lekki Beach, Lagos . Just 4 u shop at the E-center, 11 Tos Benson Venue, Sabo Yaba, Lagos. Occassions and Events: 2nd floor, Silverbird Galleria, 133 Ahmadu Bello Way, Victoria Island, Lagos. Occassions and Events: Silverbird Entertainment Centre, plot 1161 Memorial Drive, Central Business district, FCT, Abuja. Rhythm 94.7fm, Plot 1161, Memorial Drive beside Shehu Musa Yar’Adua Centre, Central Business District, Abuja. Silverbird Television and Rhythm FM, 12 Ogbegie Street, Ugbowo, Benin city. Silverbird Communication,24, Yakubu Gowon way (Adjacent to the National Library),Jos. it was so beautiful really! i wish i was up to 18 but i bet yall that crown would be mine in 2013 by God’s grace. wish others sucex cheers. 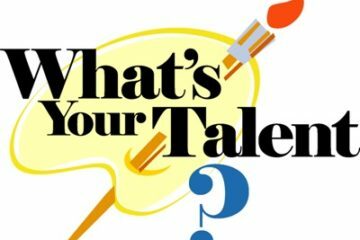 Talents Wanted: Do You Have a Great Short Script, TV Idea, or Talented Performance?